If you want to find the best UK bookmakers, you’re in the right place. 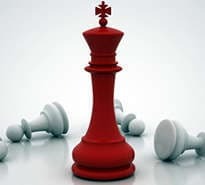 Our SBO.net experts unearth amazing online sites for betting in the UK. All of our top-rated websites boast the best odds, fast payouts, and reliable software. Avoid the hard work of finding top UK bookmakers. Our team does the legwork to save you time. With our bookie reviews at SBO.net, you can sign up with a single click and claim free bets. Ready to get started? Check out our top sites for sports betting in the UK in 2019. Terms & Conditions: NEW CUSTOMERS ONLY. REAL MONEY DEPOSIT REQUIRED. CREDIT OR DEBIT CARD ONLY. DEPOSIT & BONUS AMOUNT MUST BE WAGERED 6 TIMES (MIN ODDS 4/5) PRIOR TO BONUS FUNDS AND ASSOCIATED WINNINGS BECOMING WITHDRAWABLE. Full terms apply. Terms & Conditions: T&Cs Apply. Full terms apply. Terms & Conditions: 1. New Customers Only. 2. Min Deposit: £/€10. 3. 1 x wagering at odds of 1.75+ to unlock Free Bet. 4. Credit Card, Debit Card & PayPal deposits only 5. Additional Terms Apply. Full terms apply. *1) Opt-in required, 2) Minimum total stake: £25 3) Enhanced prices exclude £10 4) Single Line Multiples including 3 or more Football selections only 5) Min. overall odds: 2/1 6) Real money bets only 7) Total amount of free bets awarded: £10 8) Two £5 Free Bets per customer, per promotion week 9) Free Bets credited in two instalments on Saturday and Monday 10) Additional Terms Apply. Full terms apply. Terms & Conditions: New players only. 18+. Min Deposit: £10. Max Bonus £50 (based on the first deposit amount). Wag. Req. 15 times (only combi bets with min 2 selections using minimum odds of 1.25 (1/4) each with the final odds of at least 1.80 (4/5)) Please read the full T&C for further details. Gamble responsibly. Full terms apply. Terms & Conditions: Your welcome bonus consists of 10 bonuses of £5 up to a maximum total of £50. This offer is available for New Customers registering from the UK after the 1st of May 2018. Bonus will expire after 7 days from registering. This offer is only available to New Customers from the UK making an Initial Deposit of £20 or more. Customers depositing via the following deposit methods are not eligible for the Welcome Bonus: Skrill & Neteller. Full T&Cs apply. Full terms apply. We know that before you go ahead and deposit your hard-earned cash, you need to be able to trust a betting website. It must have a history of accurate and fast payouts to encourage you to play there. Plus, problems must be dealt with quickly and bonuses should be honoured at all times. Fully licensed and certified by independent regulators. Approved for secure financial transactions and data protection. Reputation for dealing with complaints quickly and fairly. Established sports betting sites enjoy a high level of goodwill among regular punters. A solid reputation takes years to build. A UK bookmaker with a proven record of delivering quick payments and honouring bonuses gets top marks from us. 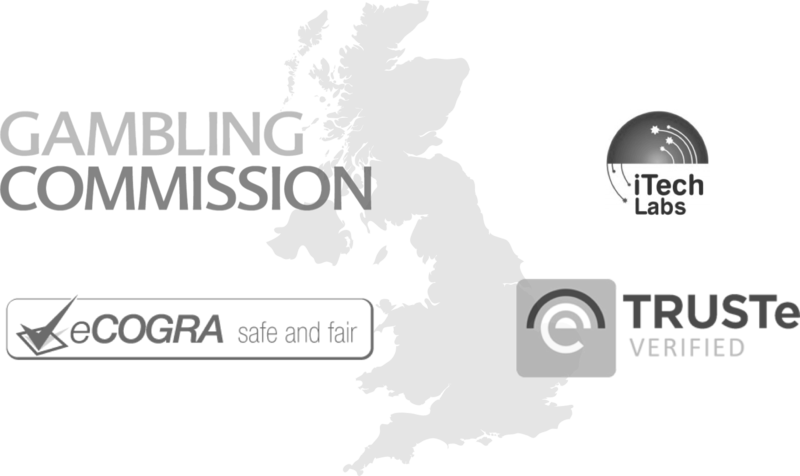 All betting websites in the United Kingdom must carry a Gambling Commission (UKGC) licence. A bookmaker regulated by the UKGC will provide protection for all your payments. It will also have proper security measures in place. Every punter wants access to the best odds when placing bets. We’re always on the lookout for fair odds on the biggest markets at all online bookies. This will save you the hassle of checking and gives you more time to enjoy betting. New betting sites keep popping up all the time. But how do you know if you can trust a site that doesn’t come with a long-standing reputation? Our team of experts explore this in fine detail. When it comes to discovering new betting sites in the UK, our team has its finger on the pulse. We track the latest bookies coming to market. We know which websites offer the best free bets and those with all the proper licensing in place. We only recommend the most secure and trustworthy new online sports betting companies to our readers. Horse racing plays a huge part in online sports betting. In 2019, you can place bets on a range of meetsEXPAND TEXT and markets. The beauty of betting online in the UK is that you have a huge choice of horse racing offers to pick from, too. When placing horse racing bets, online players need to know that they are getting the best deals. They want access to great promotions, enhanced odds, and up-to-date stats on all the races. NEW CUSTOMERS ONLY. REAL MONEY DEPOSIT REQUIRED. CREDIT OR DEBIT CARD ONLY. DEPOSIT & BONUS AMOUNT MUST BE WAGERED 6 TIMES (MIN ODDS 4/5) PRIOR TO BONUS FUNDS AND ASSOCIATED WINNINGS BECOMING WITHDRAWABLE. New players only. 18+. Min Deposit: £10. Max Bonus £50 (based on the first deposit amount). Wag. Req. 15 times (only combi bets with min 2 selections using minimum odds of 1.25 (1/4) each with the final odds of at least 1.80 (4/5)) Please read the full T&C for further details. Gamble responsibly. The best UK online bookmakers will let you place bets on hundreds of races. You can gamble on daily meets in the UK and Ireland, as well as on big races overseas like the Kentucky Derby. Betting websites in the UK usually offer enhanced odds on big races such as the Cheltenham Gold Cup. These are special prices reserved for a selected race of the day. With a Non-Runner No-Bet offer, you win your money back if a horse doesn't ride. That's one advantage online horse racing sites have over land-based bookies. In big races like the Grand National, top UK bookmakers may offer each-way payouts on lots of places. You might enjoy each-way prices on up to six finishers. The Starting Price, or SP, can change considerably before a race begins. Many of the top bookmakers online will guarantee the best possible SP available that day. You can bet on hundreds of football matches played across the world when you visit our top-rated UK onlineEXPAND TEXT bookies. It's possible to place wagers on the first goal scorer, an outright league winner, or the correct score. Not only is there an amazing choice of matches and markets to bet on, our recommended sites will also offer special online sports betting bonuses which you won't find at your local high-street bookie. 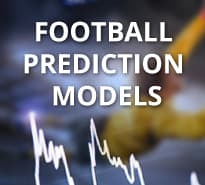 Top UK sports betting sites will offer markets on games across the world. They cater to a variety of customers, whether you’re after good Premier League betting features or a wager on the Japanese J1 League. When you’re placing bets in the UK, our top-rated sites offer you the best odds every day. You can save time comparing different bookmakers by checking out our recommended list. A football accumulator ("acca") is a bet containing several outcomes. If all your picks come in, you can win big. Many bookies now offer acca insurance which gives you a payout even if one of your selections doesn't win. At UK online bookies, there are more bets on the English Premier League than on any other market. YouEXPAND TEXT can place wagers on the big weekend games or bet in-running as the match unfolds. Good odds can also be found on 'Outright' bets on the league winners. Our team hunts out the best online bookmakers in the United Kingdom for competitive odds. Our recommended websites offer good correct score and scorecast odds, as well as attractive ante-post offers to new customers. The Premier League is widely regarded as one of the most exciting in the world, but not every game can be a classic. With a Bore Draw Bonus, the best bookmakers will offer your money back if a match ends 0-0. Landing an acca is the holy grail of football betting, especially on the Premier League. When you place an acca bet, you can receive a boost with enhanced odds on your multiple wagers. If you want to assemble your own bespoke acca, some betting websites in the UK will let you use the Bet Builder. This exciting bonus feature is now available at the best online betting sites. You can easily place your bets at UK online bookies, which offer a wider range of services and bonuses than land-based shops. You can bet anywhere, place in-running wagers, and grab a welcome bonus when you open an account online. You can also take advantage of special insurance bets like NRNB (Non-Runner No-Bet). Plus, you can use great mobile sports betting apps to play on your smartphone. In fact, there’s no need to visit your local high street bookmaker at all. It’s easy to make online sports betting deposits. Good bookie sites make banking easy and secure, offering protected payments. They also have independent auditors to ensure that your payouts are accurate and fair. Many UK bookmakers will have strict daily deposit and withdrawal limits. It’s also worth checking the payout times when you make your first deposit. When it comes to sports betting, UK customers shouldn’t have to wait weeks for their withdrawal to clear. Sign up to one of our recommended online bookies and click on the Cashier button, which is usually located along the top navigation bar. Choose your preferred deposit method. Enter the relevant details required and choose the amount you wish to deposit. Remember that some payment methods have a minimum deposit requirement. If your welcome bonus has a deposit code, then make sure you enter it at this stage. Hit ‘Submit’ when you’re happy with your selection. In most cases, the money will appear in your account in seconds, and you’re ready to start betting. As a UK customer, you can safely place your wagers at licensed sites. All UK online bookies must have a Gambling Commission licence to operate. Software must be secure and regularly audited by an independent testing body like eCOGRA. The rules governing legit bookies are strict in the UK. Licences can be taken away if a site provides poor service or fails to pay your winnings. We only recommend safe and licensed UK betting websites in our reviews. With our expert guide to UK online bookmakers, you can find the best odds every day. And when you sign up, you will be able to earn free bets and a great welcome bonuses. Don’t go to the effort of searching for good bookies in the UK. We’ve done the hard work for you, so you can spend more time betting on your favourite sports. Discover the best bonuses and free bets with our top-rated sites. At SBO.net we only recommend the safest betting sites for UK players. There are hundreds of online bookmakers available now, but not all are trustworthy. Our experts do their best to root out the rogue operators. When it comes to safe online gambling, UK sports bettors have a huge choice of reputable sites to choose from. Only licensed sites with good security, reliable bonuses, and fast payouts make it into our list. For details of blacklisted online bookmakers, check out our current list of websites to avoid. When was gambling legalised in the UK? Legal sports betting has been available in the UK since the 1960s. The 1960 Betting and Gaming Act legalised off-course and fixed odds betting. The Gambling Act 2005 allowed licensed online bookmakers to operate. 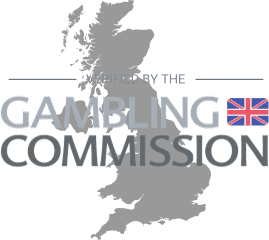 Since the Gambling (Licensing and Advertising) Act 2014 was introduced, only UK online bookies carrying a Gambling Commission licence can operate in the United Kingdom. Is gambling tax-free in the UK? Yes. Tax on bets was removed in 2002. Customers can enjoy tax-free winnings on all sports betting. Do UK bookmakers offer a cash out option? A cash out service is available at all the best sites for sports betting. Many of them also include a partial cash-out. 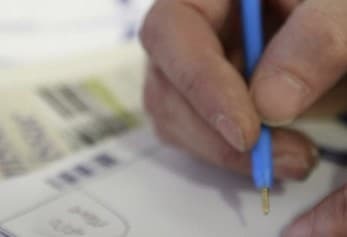 How do you know if a new bookie is worth signing up to? New bookmakers provide the latest software and apps. New customers may also receive a special welcome bonus on signing up, so always try to register with bookmakers that offer something to the user.